Jim’s enthusiasm and hunger for life set him apart from most. Thanks to his energy and vibrant spirit, he manages to motivate even the most unlikely people. Jim doesn’t take no for an answer and always demands more of those around him. The intensity, energy and force inherent in Jim captivate his students and mates and his relentless quest for health and fitness have always characterized him, even when he was a child. Even then, he loved all sporting activities, was continually racing around, playing football, climbing trees, running through the woods, jumping over hurdles managing to drive just about everyone crazy with his sheer exuberance. 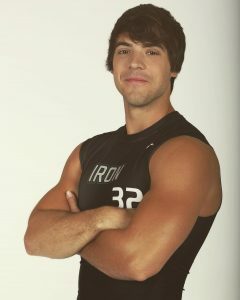 Luckily, a few years ago, Jim stumbled upon CrossFit – what a match! At last, Jim had found something that would capture and expand his irresistible drive and passion, at last, he could channel his entire being into a wide variety of activities. CrossFit was created by Greg Glassman with the intention of providing a top class workout routine for people of all ages and abilities. By incorporating a wide variety of activities using a plethora of equipment Greg was one of the first people to introduce the concept of high intensity training. Short bursts of intense workout followed by short breaks allow you to maximise the effectiveness of your workout. Rather than engaging in prolonged, unbroken workouts, those who practice high-intensity training use an array of activities including running, weightlifting and rowing. On short spurt of high- intensity activity is followed by another and yet another maximising the effects and enhancing the results. This form of fitness training has proven far more effective than conventional workout routines. Apart from the multi-discipline workout methods, Jim particularly appreciates and love the camaraderie among CrossFit enthusiasts. Mutual encouragement, joint experience and good old-fashioned fun feature strongly and Jim loves being part of the ever-growing CrossFit community. Today, Jim works at a gymnasium and trains individuals and groups in CrossFit while also participating in whatever CrossFit events take place across the state. His wish is to promote CrossFit all over the world, motivate people and support them in their quest for health and fitness. 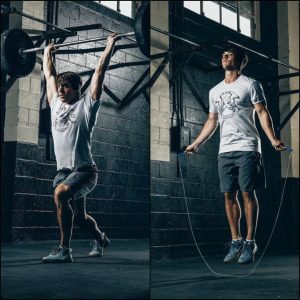 On this website, you will find lots of CrossFit tips and instructions, information on health and working out as well as news from the CrossFit community and product reviews. 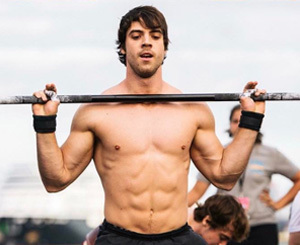 Jim’s aim is to further publicize the benefits of CrossFit, educate people about this brilliant way of becoming fit and provide an online haven for CrossFit enthusiasts from all over the world. No other fitness community can boast the same level of intensity, mutual support, enthusiasm, drive and passion as the CrossFit community. Jim, along with many other CrossFit fans, applies the same drive and passion to the promotion of CrossFit as well as the creation of an even stronger and larger fitness community. Anyone with a passing interest in fitness and a desire to find a top quality fitness regime must take a look at this website and just read all the memorable stories and testimonials. Jim’s CrossFit journey continues fuelled by the same captivating passion, drive, determination and drive. 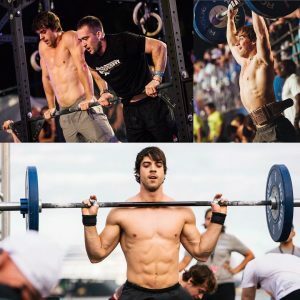 Undoubtedly, the CrossFit community will grow and grow and one would hope that people all over the world will soon realise just how effective, life-changing and enriching CrossFit is. Life-long friendships, unrivalled mutual support and camaraderie are what set CrossFit apart and will fuel its continued expansion. The strong focus on achieving measurable results while having buckets of fun is what has made people fall in love with CrossFit. Jim and the rest of the CrossFit community would like to invite you to come and see and try and be captured just a much. The benefits you will reap will stun and surprise you endlessly.